Adler and Psychology research papers are one of Paper Masters specialties. We can produce a custom project that follows your guidelines. Below is a sample introduction. He presented his theory as Individual Psychology. He described the human as goal-oriented, making choices rather than being solely driven by instincts. He viewed people as wanting to be part of groups and identify with them. Because of this group identity and the social relationships that develop in families and the community, the person’s emotional and physical health is affected for the better or adversely. People develop their lives around social interest and their primary life tasks of work, friendship and intimacy (Ansbacher & Ansbacher, 1964). Many of his concepts have entered common usage in psychology without his being given credit. Ansbacher and Ansbacher (1964) attribute this to his obscure writing which prompted students of psychology to seek out more lucid writers who could more clearly explain the concepts he wrote about. These concepts include feelings of inferiority and insecurity, the striving for power and self-enhancement, the oversolicitous mother, the dethroning of the first born, and the need for affection. His was an optimistic theory and therapy that viewed the individual as ever changing and striving for a successful life. Over the past years, psychologists and psychiatrists have begun studying his works because they are in tune with modern society. Freud examine Freud's Psychological Theories Sigmund Freud created his theory on personality with several new key concepts still used today. 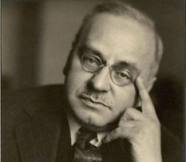 Adlerian Therapy is a model for psychological therapy developed by Alfred Adler. History Psychiatry - Break down by Psychiatric Disorder or Disease; Focus on one specific country; Outline the discipline according to psychiatric writings and documents of old. Nature Versus Nurture Research Papers on behaviors based on Alfred Adler's theory of personality development. Order a research paper on Nature verses Nature from Paper Masters. Paper Masters writes custom research papers on Adler and Psychology and discuss Adler's theory of individual psychology that looks at the development of a persons identity and their emotional and physical health.